Elegant Highland accessory. Perfect for casual and evening wear. High quality, lightweight, Pure New Wool. 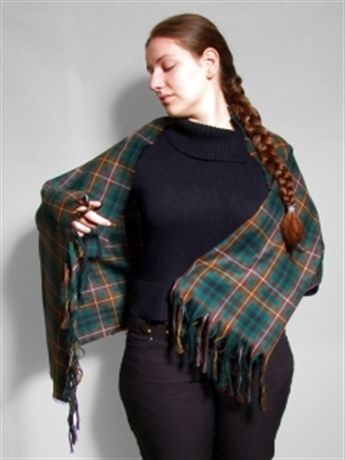 This stole is softly fringed and makes a beautiful Celtic statement. Available in over 500 tartans. A classic favourite for Burns Night. 70cm x 180cm (27 x 72 inches) Fringed ends. Available in over 500 tartans.